Simple layouts or completely custom solutions, we can build a site to fit your business. We also offer hosting. Photo galleries, news, maps, flyers, real estate listings, Facebook integration, document management & more. Down the street or around the globe, we can help build your brand and make it easy to market and sell your products online. PHD Consulting, a website design studio specializing in business and product identity through custom and template websites. Our team of specialists will work hand in hand with you to ensure a presence on the web that properly identifies your business, services and products. We don’t stop with the website, our customer service is top-notch and we are only a phone call away! 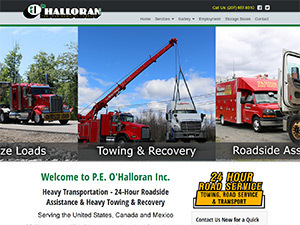 Quality websites by a local company that cares. 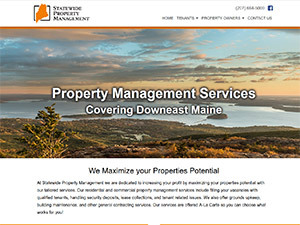 We currently work with hundreds of businesses throughout Maine and they are our best referral. 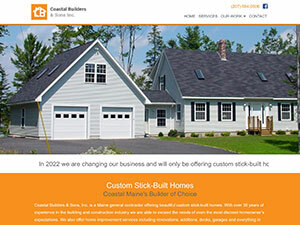 Browse our portfolio, call any customer, and find out for yourself why we’ve become Maine's choice for websites! 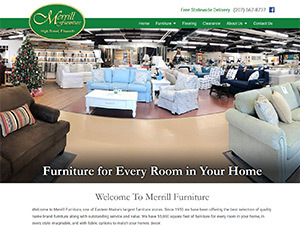 Merrill Furniture is one of Eastern Maine's largest furniture stores offering quality furniture and bedding at great prices backed up with superior customer service. 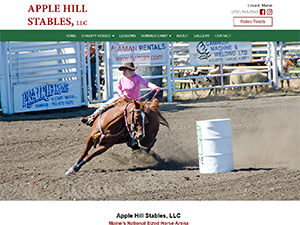 Apple Hill Stables, LLC is a national-sized horse arena located in Levant, Maine. It is our focus to offer the young people in our community the opportunity to learn new skills and responsibilities through horses. Our residential and commercial property management services include filling your vacancies with qualified tenants, handling security deposits, lease collections, and tenant related issues. Coastal Builders offers Prestige homes backed up with excellence in quality, value and service. From line striping to curbing, driveways to parking lots, we've got you covered. 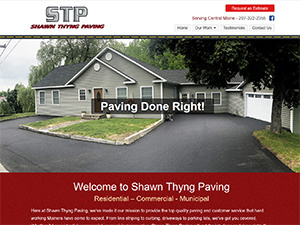 Whether it be residential, commercial, or municipal properties, Shawn Thyng Paving will get the job done and done right.